Specialized patient care equipment for PreHospital Emergency Care of patients, Fire Service, Police Service and SAR response items. Active Shooter kits, Israeli Dressing, NIO (Intra-osseous device) KingVision, King Airways and all related patient care equipment. Calian Health is one of Canada’s largest national health services organizations with over 10 years of experience in the management of healthcare professionals and health programs, as well as the operation and management of primary care and occupational health clinics. With a network of over 1,500 healthcare professionals, Calian supports over six million patient visits per year at over 180 clinic locations across Canada. At the Heart of Saving Lives® Welcome to Cardiac Science, a company founded in 1991 and recognized globally as a leader in developing AED technology, evidenced by more than 100 patents to our name. We are based in the United States – yet with over 500,000 AEDs deployed globally, our presence is felt worldwide. Our singular purpose is to be the company that helps first responders increase sudden cardiac arrest (SCA) survival. For over 60 years, Ferno has been a global leader in the manufacture and distribution of professional emergency, mortuary, and healthcare products, dedicated to caring and protecting life, especially in critical situations. We are committed to providing innovative solutions to keep all first responders safe and effective: Pre-Hospital, Mass Casualty, Wound Care, Patient Transport, Immobilization. H&H Medical Corporation specializes in developing, engineering, and manufacturing quality emergency first aid devices. When a life is on the line, the right tools are critical. H&H is committed to giving 1st Responders the products they need to extend the “Golden Hour” and to help save lives. a division of The HoZer Canada Inc.
For the past 15 years, LifeLike Manikins & Simulators has represented Nasco & Simulaids as their authorized distributor in Canada. Supporting all facets of training in the medical and emergency response fields, we pride ourselves on our first-rate Technical Support; recommending and delivering the appropriate product for your training needs, protocol and budget. For the first time ever, the ITLS for Emergency Care Providers 8th Edition textbook is NOW available in French; exclusively distributed by LifeLike Manikins & Simulators. Save shipping charges by visiting our booth to purchase your copy. Contact us and experience the “LifeLike” difference! Limbs & Things was established in Bristol, England in 1990 by medical artist Margot Cooper. The business focuses on the development, manufacture and sale of medical training products for healthcare professionals and students worldwide. We are committed to working in close collaboration with clinicians globally to produce realistic task trainers, that enable more competent and confident professionals, with the ultimate aim of improving patient outcomes and reducing medical error. Limbs & Things have offices in the UK, US, Australia and Sweden, as well as partnerships with distributors worldwide. Minogue Medical Inc. is the exclusive Canadian distributor for Gaumard products. Gaumard is committed to providing innovative simulation solutions for health care education. Our products today are built on a foundation of knowledge and experience in maternal, neonatal, emergency, nursing, respiratory, life support, trauma and surgical simulation that spans over 65 years. We offer unrivaled tetherless “Care in Motion” simulation technology that allows care givers the opportunity to treat simulators like real people in any teaching environment. Our philosophy remains “Leadership through Innovation”. Training Leaders to Optimize Performance through Scenario Development: We understand the complexities of creating interactive training that meet your clinical competency, industry safety, and emergency preparedness needs. With an extensive knowledge of moulage wound development, scenario staging, and training customization, Moulage Concepts provides a unique combination of simulation expertise to strengthen your training performance and risk reduction. Working with both simulator and standardized patients, we provide you measurable training options to meet your industry requirements.Moulage Concepts, serving the moulage needs of the varied simulated training communities, including Medical, Trauma, Military, Mass Casualty, Pre-Hospital, Veterinary and Epidemic/Pandemic agencies. Simulaids by Nasco Healthcare: Providing relevant, innovative simulation solutions for medical education. Simulaids by Nasco Healthcare combines over 125 years of experience between Simulaids and LifeForm®, trusted resources for improving medical education of Healthcare professionals and learners. We offer the widest variety of training equipment in the industry, from skills trainers to hi-fidelity patient simulation systems. Simulaids is never satisfied, always looking for better ways to train people who impact lives daily. We are proud to take part and support ITLS 2017, featuring our cost effective and innovative trauma management training systems for community level to advanced trauma management interventions. Enabling better health and better care at lower cost. Philips is a leading health technology company focused on improving people’s lives across the health continuum – from healthy living and prevention, to diagnosis, treatment and home care. Applying advanced technologies, and deep clinical and consumer insights, Philips delivers integrated solutions that improve people’s health and enable better outcomes. Partnering with its customers, Philips seeks to transform how healthcare is delivered and experienced. The company is a leader in diagnostic imaging, image-guided therapy, patient monitoring and health informatics, as well as in consumer health and home care. 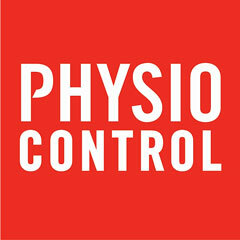 Physio-Control partners with professional responders all over the world to provide solutions in emergency care. As the new standard in emergency care, the LIFEPAK® 15 defibrillator is the most clinically innovative, operationally innovative and toughest monitor/defibrillator available today. With leading edge technologies such as the LIFENET® System for efficient patient data management and the LUCAS™ Chest Compression System, Physio-Control is partnering with emergency response teams to improve patient care and save lives. Physio-Control also provides market leading service with its highly trained direct field service team, averaging the longest tenure in the industry. Rescue Essentials is premier supplier of custom, operational specific medical kits and supplies serving the tactical, wilderness, military and SAR communities. For more information on Rescue Essentials and their products visit www.rescue-essentials.com or call (719) 539-4843. SharkzCoins has been producing high quality custom challenge coins and pins for military, police, fire departments, and corporations for over ten years. With a profound understanding of their craft, and an unparalleled commitment to excellence, they are the preferred choice for exquisite appearance and lasting quality coins to represent who you are and what you do. A Canadian based company with professional graphics and customer service teams, SharkzCoins are enthusiastically waiting to bring your coins to life. Follow SharkzCoins on social media and stop by to say “Hi” at the 2017 International Trauma Conference. 614 – 17th Street S.W. ST/OPS Tactical Training Canada, ULC (ST/OPS Canada) provides Hyper-Realistic™ training services and products for military, law enforcement, and other organizations responsible for domestic security. The company employs state-of –the-art “Hollywood” style battlefield and combat wound effects, role players, military and police subject matter experts, and training scenarios to create training environments that are the most unique in the industry. ST/OPS Canada also delivers specialized tactical medical training, such as Tactical Combat Casualty Care (TCCC) as well as customized programmes. #14 – 3033 King George Blvd. Tactical Medical Solutions Inc. is a global provider for pre-hospital medical supplies and training to military, police, and first responder services. Their products are approved and trained with for US Embassies, NATO, US Dept. of State, and US Homeland Security. In 2016 they exported and worked with over 69 countries for varying level of emergency trauma supplies and training. Z-Medica is a medical device company that develops life-saving hemostatic products. QuikClot® devices help control bleeding within hospitals, trauma units, emergency centers, and other healthcare settings. QuikClot hemostatic devices are as safe and easy to use as standard gauze, but stop bleeding significantly faster when applied with pressure. They help reduce the need for more expensive treatments and establish stability to get patients to the next level of care. The College of Social Work is committed to advancing the mission of The University of Tennessee as the state’s land-grant, flagship university, to provide a quality public education for the citizens of Tennessee through exemplary teaching, research, and service. The College of Social Work provides a professional social work education program that prepares undergraduate and graduate students for social work practice and doctoral level graduate students for social work research and academia.